Gunma Prefecture (, Gunma-ken) is a prefecture of Japan located in the northwest corner of the Kanto region on the main Honshu island. Its capital is Maebashi. Japan was without horses until around the fifth century CE. The ancient province of Gunma was a center of the horsebreeding and trading activities for the newly immigrated continental peoples. The arrival of horses and the remains of horse-tackle coincides with the arrival of a large migration from the mainland. From this point forward, the horse became a vital part of Japanese military maneuvers, quickly displacing the older Yayoi tradition of fighting on foot. When Mount Haruna erupted in the late 6th century, Japan was still in the pre-historical phase (prior to the importation of the Chinese writing system during the Nara period). The Gunma Prefectural archaeology unit in 1994 was able to date the eruption through zoological anthropology at the corral sites that were buried in ash. In the past, Gunma was joined with Tochigi Prefecture and called Kenu Province. This was later divided into Kami-tsu-ke (Upper Kenu, Gunma) and Shimo-tsu-ke (Lower Kenu, Tochigi). The area is sometimes referred to as Jomo (? ?, Jomo). 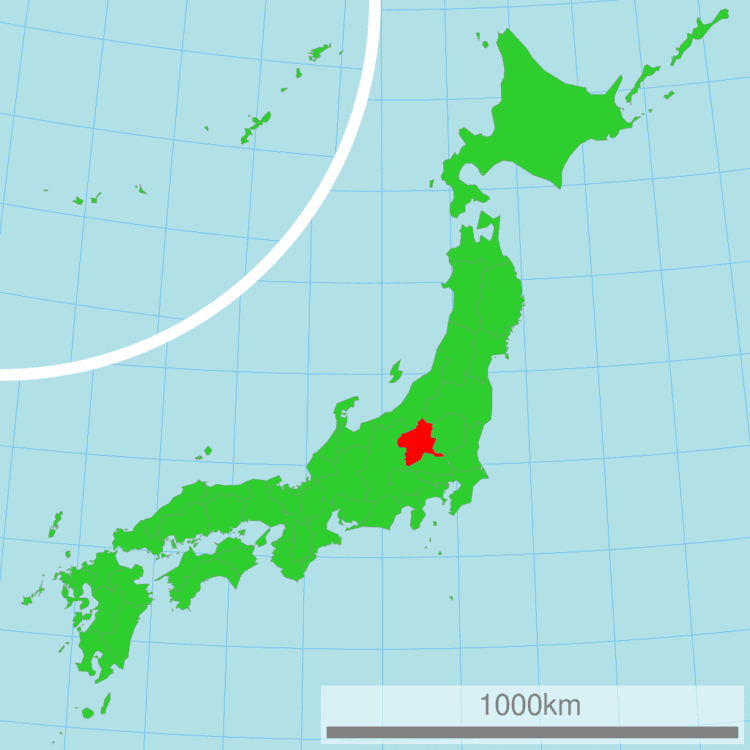 For most of Japanese history, Gunma was known as the province of Kozuke. In the early period of contact between western nations and Japan, particularly the late Tokugawa, it was referred to by foreigners as the "Joushu States", inside (fudai, or loyalist) Tokugawa retainers and the Tokugawa family symbol is widely seen at public buildings, temples and shrines. The first modern silk factories were built with Italian and French assistance at Annaka in the 1870s. In the early Meiji period, in what was locally called the Gunma Incident of 1884, a bloody struggle between the idealistic democratic westernizers and the conservative Prussian-model nationalists took place in Gunma and neighboring Nagano. The modern Japanese army gunned down farmers with new repeating rifles built in Japan. The farmers in Gunma were said to be the first victims of the Murata rifle. In the twentieth century, the Japanese aviation pioneer Nakajima Chikushi of Oizumi, Gunma Prefecture, founded the Nakajima Aircraft Company. At first, he produced mostly licensed models of foreign designs, but beginning with the all-Japanese Nakajima 91 fighter plane in 1931, his company became a world leader in aeronautical design and manufacture, with its headquarters at Ota, Gunma Ken. The factory now produces Subaru motorcars and other products under the name of Fuji Heavy Industries. In the 1930s, German architect Bruno Julius Florian Taut lived and conducted research for a while in Takasaki. The Girard Incident, which disturbed US-Japanese relations in the 1950s, occurred in Gunma in 1957, at Soumagahara Base near Shibukawa. Four modern prime ministers are from Gunma, namely, Takeo Fukuda, Yasuhiro Nakasone, Keizo Obuchi, and Yasuo Fukuda, the son of Takeo. One of only eight landlocked prefectures in Japan, Gunma is the northwestern-most prefecture of the Kanto plain. Except for the central and southeast areas, where most of the population is concentrated, it is mostly mountainous. To the north are Niigata and Fukushima prefectures, while to the east lies Tochigi Prefecture. To the west lies Nagano Prefecture, and Saitama Prefecture is to the south. 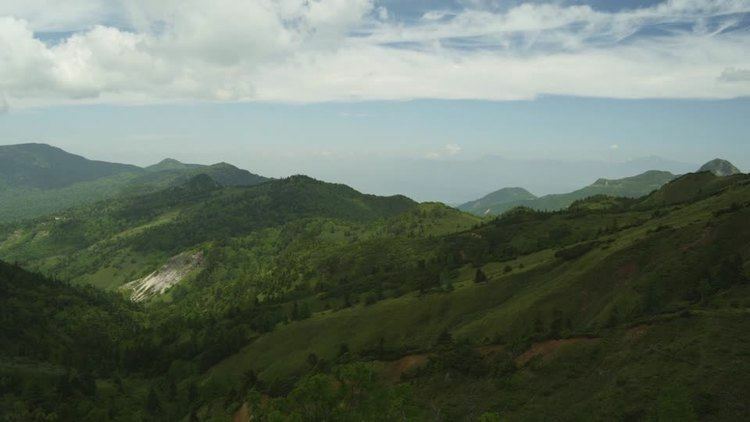 Some of the major mountains in Gunma are Mount Akagi, Mount Haruna, Mount Myogi, Mount Nikko-Shirane and Mount Asama, which is located on the Nagano border. Major rivers include the Tone River, the Agatsuma River, and the Karasu River. 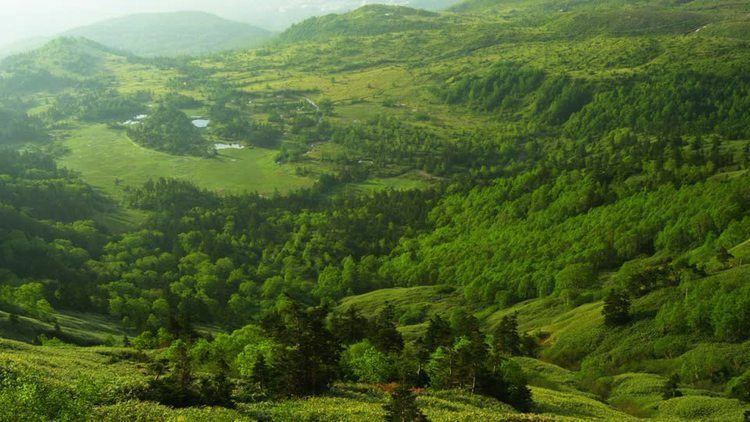 As of 1 April 2012, 14% of the total land area of the prefecture was designated as Natural Parks, namely Joshinetsu-kogen, Nikko, and Oze National Parks and Myogi-Arafune-Saku Kogen Quasi-National Park. Gunmas modern industries include transport equipment and electrical equipment, concentrated around Maebashi and the eastern region nearest Tokyo. More traditional industries include sericulture and agriculture. Gunmas major agricultural products include cabbages and konjacs. Gunma produces 90% of Japans konjacs, and two-thirds of the farms in the village of Tsumagoi are cabbage farms. Also, the city of Ota is famous for car industry, notably the Subaru factory. Gunma has a traditional card game called Jomo Karuta (). Gunma is home to one of Japans three Melody Roads. 2,559 grooves cut into a 175 meter stretch of the road surface transmit a tactile vibration through the wheels into the car body. When driven over at 50 km/h it produces the melody of "Memories of Summer". Gunma has many hot spring resorts and the most famous is Kusatsu Onsen. Another draw to the mountainous Gunma is the ski resorts.